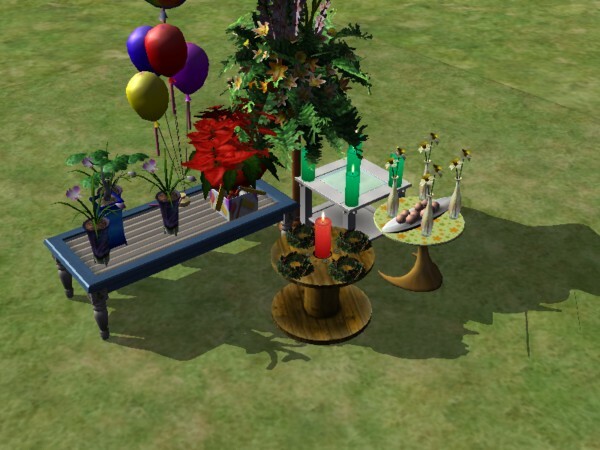 Have you ever wondered why in sims world, only 1 objects can be putted on a cofeetable while in real world, almost 50 object can be placed there..
buy a cofeetable and OMSP, and place it on your lot..
place something on the OMSP. , move it to desired place. or simply under the table. enter design mode, and use the Invisible recolour that was given together with the package. image of my sim using the phone to get some pizza. by using the OMSP, you can make a custom cofeetable like this.. I would like to say thanks to Katy_79 from www.pc-sims.de because without her.. I cannot even make a single mesh and I can't rcolour this.. thanks katy~~..